* Added Ginkgo tree photos: USA - Wissinoming Park, Philadelphia, PA + UK - Kinnersley Castle, Herefordshire. 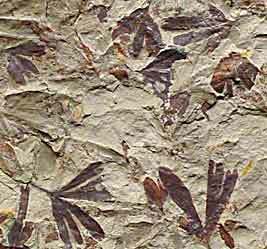 * Update of Fossils-page : picture gallery: Ginkgo adiantoides, Unterwohlbach Formation, South Germany. 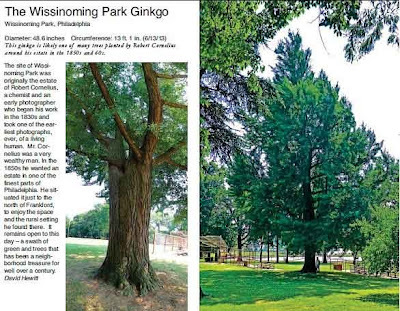 Article by Dr. David Hewitt, botanist: The Wissinoming Park Ginkgo in Philadelphia. 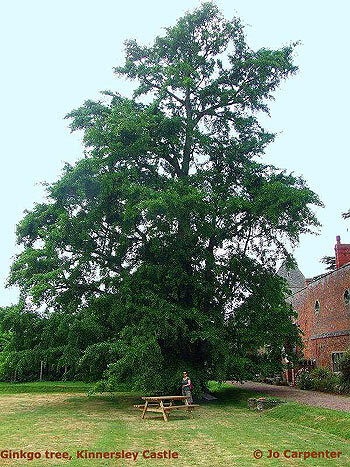 At over 48 inches in diameter it is one of the largest Ginkgo trees in the US. This Ginkgo is likely one of many trees planted by Robert Cornelius around his estate in the 1850s and 60s. Article sent to me by Ashley Duval, School of Forestry and Environmental Studies, Yale University, thank you!